I'm looking at 202 Wadsworth Street on www.realestateone.com.com and would like some more information. Historical Victorian home being offered on the market for the first time in 56 years! Situated downtown Traverse City in the ever sought after Central Neighborhood, this beautifully cared for property boasts interior & exterior features with a fabulous variety of details that you'd never find in a brand-new construction. 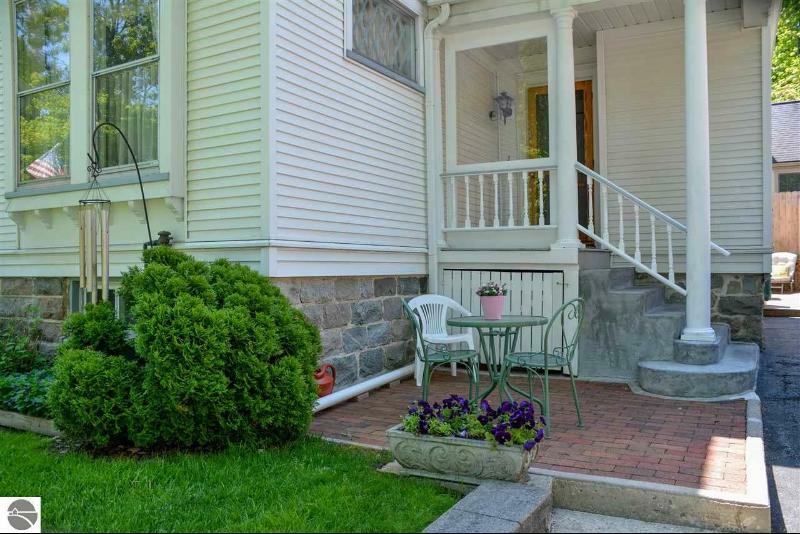 Reflective of the era in which it was built, there is abundant character & charm starting on the main floor with a living area & parlor that share a gas fireplace, canted bay windows, and formal entryway complete w/ antique etched glass front door. Large formal dining room has built-in wall hutch & enjoys the fabulous oak molding that runs throughout the house. Sunny & bright kitchen with plenty of storage leads you to the lower level or upstairs via a surprise double-sided staircase. A cozy southwest facing office/yoga room/meditation area is separated from the rest of the spaces providing privacy & quiet. The upper level has 4 bedrooms each with their own personality including the master with its curved sitting area within the turret. Fun lower level is a perfect activity room complete with sunken floor, electric f/p, laundry, & shower stall. Outside is a magnificent place to gather with the family either on the spacious covered porch that wraps around the front & side of the home or on the sunny back deck. 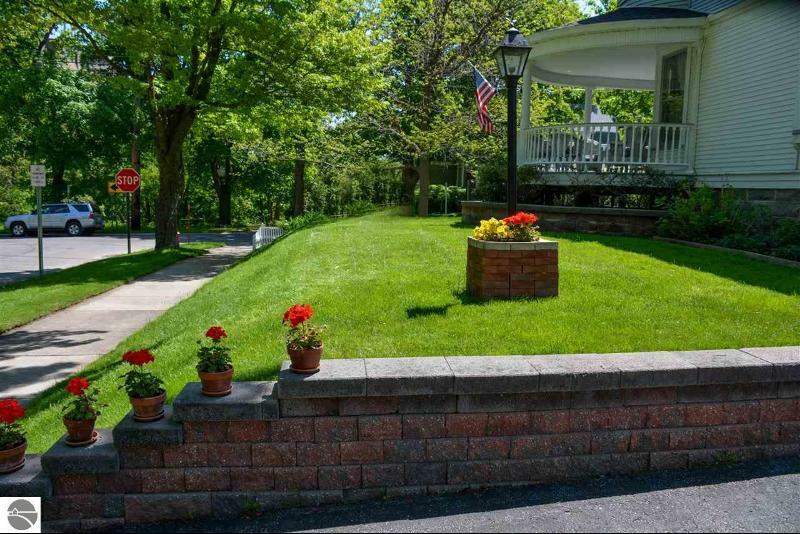 An elevated corner lot is a luxury that makes the porch area a very special place that you will love during morning coffee, afternoon tea, or evening cocktails as you look out onto peek-a-boo-views of the Boardman River. Such a joy to find such a beautiful historical home in it's original spirit & grandeur. Own part of Traverse City history! Our Michigan real estate agents can answer all of your questions about 202 Wadsworth Street, Traverse City MI 49684. Real Estate One, Max Broock Realtors, and J&J Realtors are part of the Real Estate One Family of Companies and dominate the Traverse City, Michigan real estate market. To sell or buy a home in Traverse City, Michigan, contact our real estate agents as we know the Traverse City, Michigan real estate market better than anyone with over 100 years of experience in Traverse City, Michigan real estate for sale.